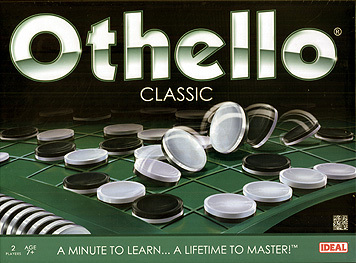 The internationally acclaimed two player strategy game. A minute to learn... a lifetime to master! Trap your opponent by placing your disks on the board. "Sandwich" at least one of your opponent's pieces to turn their disks to your colour... But look out, your opponent will do the same to you. The lead can change with a flip of a disk in this classic fast-paced strategy game.